Panos Y. Papalambros, co-author of Principles of Optimal Design: Modelling and Computation, tells us more about the recent 3rd edition. What motivated you to write Principles of Optimal Design 3E? The book was conceived and written in the mid 1980s to highlight the interplay between the mathematical modeling of design as a decision-making problem and the computational algorithms that will allow the practitioner to solve these problems successfully. Since then, design optimization has become ubiquitous in industry. New classes of algorithms have been developed. Problem complexity has increased and system design has become more critical. Excellent software tools are widely available and take away a lot of the labor. I wanted the new edition to capture these developments and hopefully to maintain its value to the design practitioner. Moreover, I wanted to show that the original motivation for the book is still valid today just as much as it was thirty odd years ago. 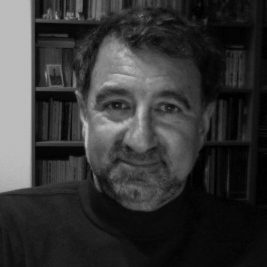 Panos Y. Papalambros, is the author of more than 350 research publications and is the founding Chief Editor of the Design Science journal. Who is the primary audience for Principles of Optimal Design 3E? Mathematical design optimization is a natural tool for practicing design engineers who work extensively with simulation-based design software. The mathematical nature of optimization is sometimes a deterrent and I tried to lower the burden and focus on developing a way of thinking. Advanced seniors and graduate students in engineering who plan to work in advanced product and process development are the obvious immediate audience. Based on your previous answer to the primary audience of the book, what are the market needs/key challenges this audience faces? The math content can be daunting at first sight. However, if you persist a bit, you find that what you really need is very basic calculus and linear algebra at the freshman or sophomore levels in engineering schools. Actually, once you accept the math need, you realize that those old abstract concepts are practical tools that give you lots of insights. Some of the newer modeling and nongradient methods require more advanced statistics than most people in that group will likely know. But if you miss some of the details, you will still get the thinking behind the methods and will be wiser in using them. Does your book solve this need/challenge? How? When practical, we have included simple examples to illustrate each math idea and interpret it in a design context. Sometimes you have to write your own code to “get it” and I have included some suggestions, as students are increasingly facile with coding. The exercises are also meant to help hone this understanding. The last chapter on “Principles and Practice” takes a longer view of how all this math will work in practice —or not work! We also have there a detailed checklist containing all the steps you should take throughout a design optimization project, from setting up the problem to interpreting the numerical output of algorithms. What unique features do you think make the book stand out in the market? It’s just the key idea that the problem model and the solution strategy in design optimization are intricately coupled. Each informs the other and leads you to success — or controlled failure so you can try again. The other key point is to honor the math needed but keep it at the lowest level possible. For more information on Principals of Optimal Design, including chapter outlines, author biographies and the book preface, click here. The book is available to purchase here.